Hunter and Edgar has experience in all areas of road construction. Hunter & Edgar is a consultancy that specialises in activities associated with civil engineering with particular emphasis on highway contracts, asphalts and highway construction and maintenance. Areas pf particular speciality are asphalt failures and road defects. Hunter & Edgar have undertaken assignments throughout the United Kingdom, Ireland and the Middle East. For a comprehensive list of all areas of which we can be of service, please click here. 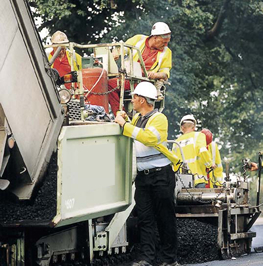 An area of particular speciality is road defects. For more details on this subject, please click here.